The Earthway Ev-n-Spred 2050P is ideal for medium usage in various situations and spreads dry, uniform, free flowing, materials evenly and efficiently. The 2050P puts professional quality and features in a fully assembled package. The 2050P out performs all other spreaders of its size and price with true commercial features at an affordable cost. 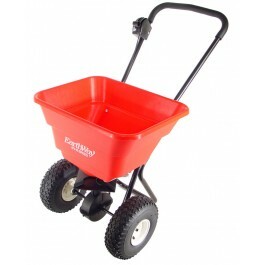 This salt spreader is suitable for most salt types as well as also being suitable for use with all ice melt products. 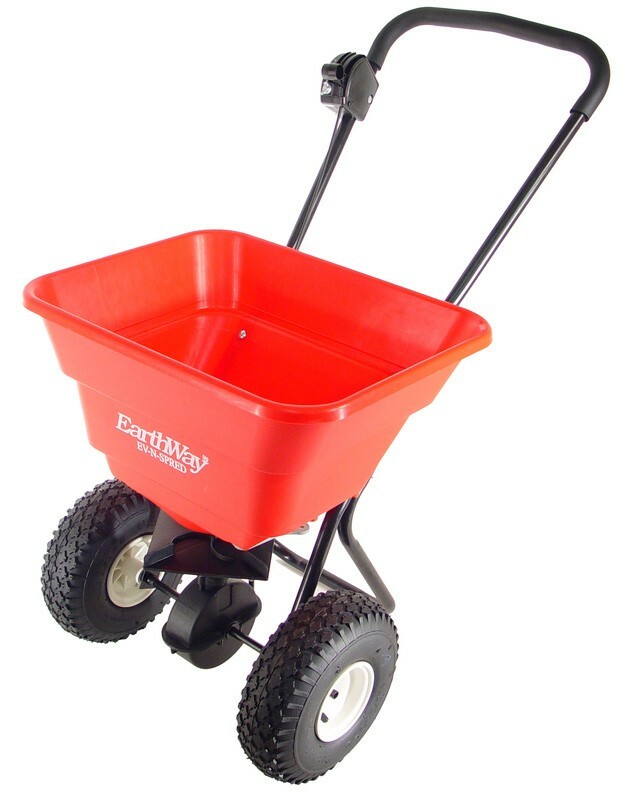 The spreader can also be effectively utilized for distributing fetilisers and seeds. Pedestrian push with pneumatic tyres. 36kg Hopper capacity – rust proof poly construction. Pneumatic tires on rustproof poly rims. Comes fully assembled with fold away handlebar system. Before filling the hopper with salt or similar product, ensure the variable flow is set at closed. This will ensure no product is lost during the filling stage. Now manoeuvre the spinner to the desired location, such as the car park or pathway, and release the brake to allow the de-icer to begin being dispensed, pushing the spinner will allow the product to be cast up to three metres in distance. Continue until the whole of the desired area is covered in rock salt or ice melt.